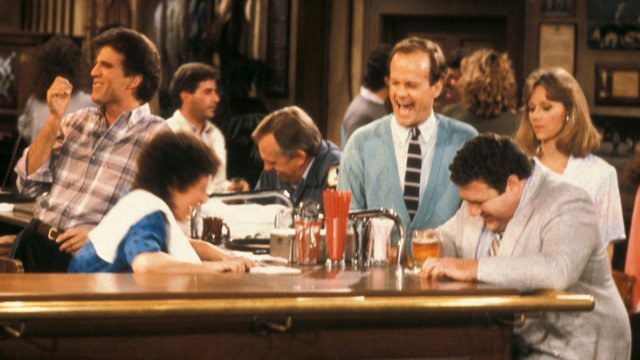 I’m not old enough to remember much about the television show Cheers (unless I see an episode in syndication), but I remember enough to recognize the unmistakable “Where Everybody Knows Your Name” theme song that opened each show. 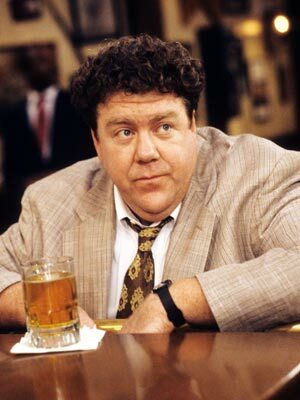 I also recall the layout of the friendly bar where folks would come in after work to be greeted by staff members Sam (Ted Danson) and Carla (Rhea Pearlman), and customer fixtures like Norm (George Wendt) and Cliff (John Ratzenberger). 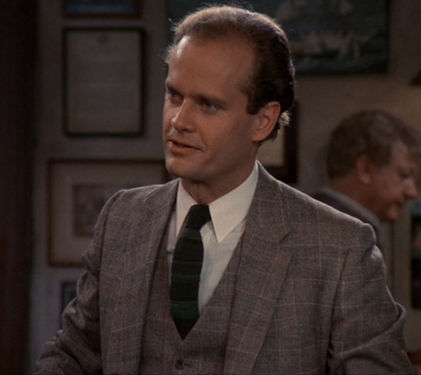 It truly seemed like a place where everyone was known to everyone else, even though they were just regular folks, some with plebeian occupations like the mailman Cliff, or others with more lucrative occupations, like Frasier Crane the psychiatrist. Just the theme song alone, with its lyrics and comforting melody played on the piano, creates a sense of comfort and inclusion as you are introduced to the staff, patrons and environment of Cheers. I fall into the trap of desiring that this would play out in my life. I desire that people would know my name, especially among my coworkers or within my neighborhood parish and church community. Yes, I want to be included in people's discussion, especially if I'm not the topic of that discussion. As work duties expand or the body of our church grows in number, while others grow in their leadership capacities, I don’t want to become unknown among others. It would seem like an injustice! Without a doubt, I have a desire to be desired. In my sinful heart I desire for others to know me more than I desire to recognize that I am fully known by the Lord (Psalm 44:21). If we’re honest, this is something that most of us will struggle with on some level. 2 – Embracing Definition – “By Christ’s own decree, we should be no more defined by the world than He is.” (p.31). We all subtitles that we use to define ourselves; are they the result of pride? 3 – Embracing the Humble King – “Christ’s obscurity was perfectly planned –and equally glorifying to God – as His journey to fame, and His fall from the public’s favor.” (pg. 47). Rarely does normalcy stir suspicion. This meant that people had a hard time believing that Jesus was God in the flesh. 4 – Embracing Significance – Eternal significance can be ours through embracing the work of Christ (pg. 56). When we accept that our value is not dependent on what we do, we are liberated to do much for Christ. 5 – Embracing True Success – We've all done some cool things, but we can’t let them become our subtitles or points of pride, especially when we know that those things aren't ours to begin with (pg. 80). 6 – Embracing Servanthood – In order to embrace obscurity, we must master the art of serving with humility. When God wanted to give someone a compliment or set them apart, he called them “his servants” (pg. 98). “We go striving for accolades to please ourselves, and our Father, when He desires most for us simply to enjoy Him and let the rivers of His pleasures spill out to others. 7 – Embracing Suffering – God allows us to suffer, as it both brings change in us, and enables us to give more to others (pg. 109). Many servants of Christ suffered greatly, and many times their suffering, and ours, leads to greater obscurity, but ultimately God’s greater glory. 8 – Embracing the Mystery – People didn't understand Jesus. People didn't expect God in the flesh to be so ordinary. If our lives really reflected our Savior, why would we expect the world to understand us? 9 – Embracing the Spotlight – We are all relatively unknown in the scope of humanity, but there may be a chance that our names may be recognized among others in this life (pg. 149). Whether we are a figurehead or obscure servant, our lives have equal purpose; a) making God’s name great, b) advancing God’s kingdom on Earth, and c) serving others. 10 – Embracing Hope – The reality of forever has to eclipse the day-to-day desires and pursuits of our ordinary lives, while walking in a manner worthy of the gospel. Will we, like King David (Psalm 17:15), yearn to be satisfied simply with the presence of God when we awake in the morning? I am praying that I hold fast to the truth that the Lord knows me fully (Psalm 139), and that my standing with him depends fully on his righteousness that was transferred to me through my faith in Christ, and not through everybody knowing my name.